Winners of FEA’s 16 Designers’ Competition fly to NAFA’s headquarters in Toronto, Canada. Posted on August 4, 2016 Comments Off on Winners of FEA’s 16 Designers’ Competition fly to NAFA’s headquarters in Toronto, Canada. The winners of FEA’s 2016 Greek Young Designers’ Competition are getting ready to collect their prize: the one week workshop at Studio NAFA in Toronto, Canada organized by FEA’s grand sponsor, NAFA. 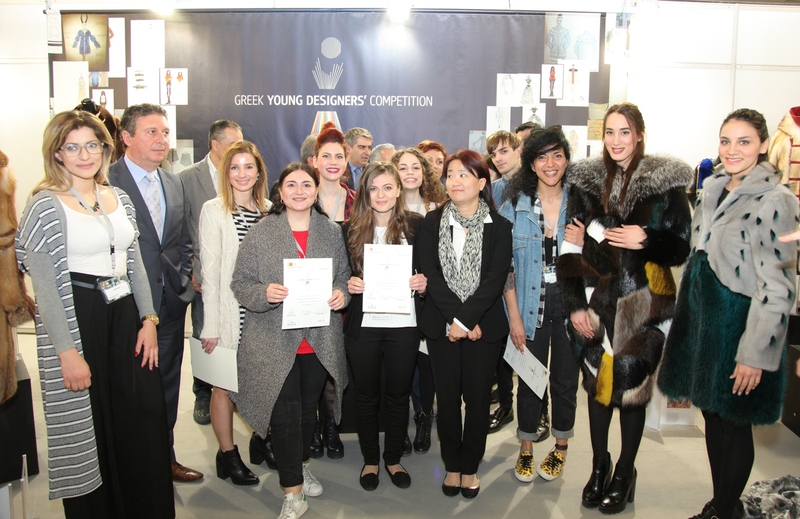 Maria Zepou, from PANSIK – Scuola di Moda – Art & Design, Athens, Eyagelia-Vasiliki Tranouli, from the Institute of Vocational Training ‘AKMI’, Athens, and Stavroula Katavelou, from AKTO College of Thessaloniki, will fly to Toronto to spend one full week learning about the fur world and the immense possibilities that fur provides to the creativity of a designer. From August 8th to 12th, these three Greek young designers, along with winners from similar design competitions around the world, will participate to this special workshop about fur organized by NAFA, the world’s oldest fur auction house.